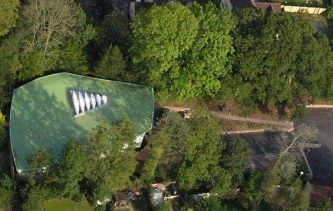 TPO’s (Thermoplastic Polyolefin) have been extensively used within the single ply roofing industry since the early 90’s and had been developed from Polyethylene membranes which were being installed in ground engineering applications such as tunnel, lake and bund liners. Newer versions of TPO are typically now manufactured using a Polypropylene formulation. 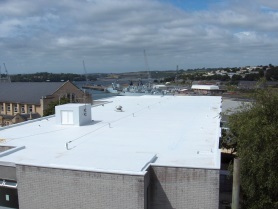 The driving force for single ply manufacturers to develop a roofing grade TPO was that there was concern across Europe regarding the environmental credentials of PVC (Polyvinyl Chloride). TPO membranes do not contain plasticisers as they are inherently flexible, and do not contain heavy metals (these are however no longer used in PVC membrane manufacture). 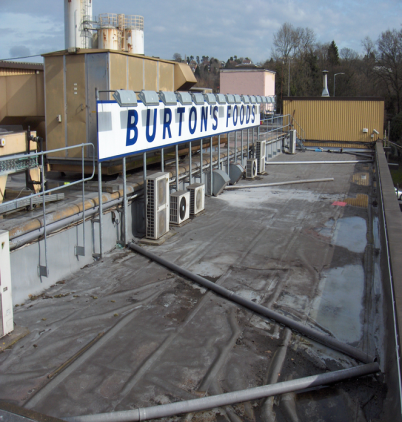 When the TPO membranes were launched to the roofing industry it was widely thought that they would eventually replace PVC membranes within a relatively short period of time. In reality, this has never happened due to the well documented short comings of some TPO membranes and the continued popularity of the tried and tested PVC options. Since IKO Polymeric launched IKO Spectraplan TPE membrane, we have successfully installed over one million meters of membrane across UK, Europe and as far away as New Zealand. IKO Spectraplan TPE membranes are manufactured at our Clay Cross site in the UK. IKO Spectraplan TPE membranes have many mechanical and performance advantages over TPO membranes. TPE is actually a member of the TPO family, but as you will read they are very different in many areas. TPO membranes can be much stiffer than PVC membranes which can cause difficulty when installing and detailing. IKO Spectraplan TPE membranes are considered to be similar to PVC membranes when comparing flexibility, which enables the TPE membrane to be easily installed and detailed. We are able to achieve the unique flexibility by chemically bonding the individual polymer chains which gives an elastomeric feature to the membrane; this is not possible with TPO membranes. Normally the installer thinks they are installing PVC when in fact it is our IKO Spectraplan TPE membrane. TPO membranes typically have a polymer content of around 30% with the remainder of the membrane being made up of UV stabilisers, fire retardants, processing aids and filler. 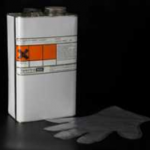 The UV stabiliser is in the top surface of the membrane which is why the underside of the membrane is typically a different colour for identification purposes. With the UV stabiliser only being in the top surface the membrane can only be installed one way up. Installing the TPO membrane upside down, typically occurring on upstand flashings and smaller areas of field sheet, will have a detrimental effect on the long term performance of the membrane. IKO Spectraplan TPE membranes have a high polymer content of 60% with the remainder of the membrane being made up of UV stabilisers, fire retardants, processing aids and filler. Not only does the IKO Spectraplan TPE membrane have significantly higher polymer content it is also uniquely UV stable throughout, enabling it to be installed either way up without having a detrimental effect on the long term performance of the membrane. 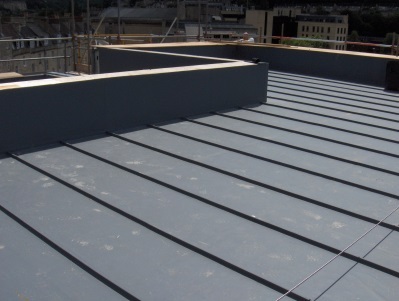 TPO membranes can produce static when rolled out and positioned on the roof which in turn can attract construction dust particles to the surface of the membrane and more importantly the overlap area. TPO membranes can be very sensitive to the dust which acts as a barrier during the hot air welding process if not removed and can prevent the TPO membrane from welding adequately. Generally the manufacturer will recommend the use of a solvent preparation to remove the construction dust with many requiring it prior to any overlaps being hot air welded even when just rolled out. IKO Spectraplan TPE membranes require no solvent preparation at any stage of the installation or even when installed after several years. Due to the high polymer content any construction dust particles will be absorbed into the membrane during the hot air welding process and become part of the membranes filler. The only recommendation is for the use of hot soapy water on heavily soiled membrane which would typically be needed on older TPE roofs. TPO membranes generally have a high coefficient of expansion and contraction resulting in the thermal movement during hot and cold temperatures, this in turn has an adverse effect on the aesthetics of the membrane. The thermal movement will remain during the whole life cycle of the membrane. 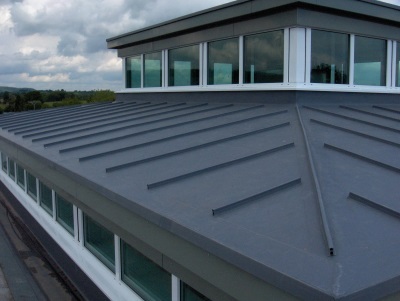 Generally TPO membranes are not specified on projects where aesthetics are of importance, including those projects requiring a standing seam effect. IKO Spectraplan TPE membranes also have a degree of thermal movement depending on the ambient temperature and this generally occurs during the installation stage. However, this can be greatly reduced if the recommended installation techniques are followed. 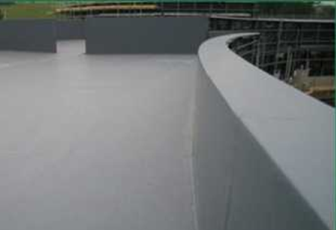 Once the TPE membrane has been installed and mechanically attached around the perimeter and internal upstands the TPE membrane starts to settle and gives a similar appearance to a PVC membrane. TPE membranes have been installed on countless projects where appearance was important. TPO membranes generally have a lower flow rate when hot air welded compared to other Polymeric membranes resulting in additional preparation at cross joints. The additional preparation consists of chamfering the open edge of the second layer. The chamfering process ensures a sloped junction rather than a stepped junction. Failure to follow this procedure will likely result in water ingress as a capillary hole is formed within the seam. From experience the chamfering tools become blunt quickly and if not regularly sharpened are rendered useless, and on the larger projects the standard and regularity of chamfering diminishes. Unfortunately if a cross joint has not been chamfered correctly then the only way to resolve this is by welding a patch repair over the affected cross joint. This then requires a further 3 cross joints to be successfully executed, trebling the risk of further water ingress. They didn’t get the first one right! 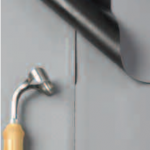 IKO Spectraplan TPE membranes however do not require any preparation at the cross joints. This is down to the unique flow rate of the membrane when hot air welded. The step caused by the layering of the membrane softens when heated and once rolled becomes flat and part of the weld. TPO welding parameters are typically 300◦c (+ or – 20◦c) and 3 linear meters per minute when using an automatic welding machine. If the welding parameters are not achieved due to either operator error, poor power supply, or poorly serviced welding apparatus then the TPO membrane will not weld correctly resulting in potential water ingress. IKO Spectraplan TPE welding parameters are typically 200◦c to 600◦c and up to 6 linear meters per minute when using an automatic welding machine. This ensures that the TPE membrane will more likely weld satisfactorily in more challenging site situations and conditions. A great advantage of the TPE membranes low welding temperature capability is that when working on tricky detailing such as pipes and corners the operative is in greater control and is less likely to burn or damage the membrane. 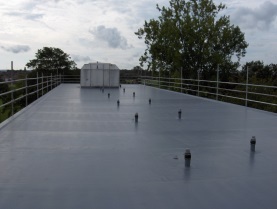 TPO membranes require a high level of preparation when, for example, carrying out a patch repair during the installation stage or joining on to an old roof. The TPO membrane will not only need to be thoroughly cleaned first with hot soapy water but importantly afterwards with an aggressive solvent cleaner. 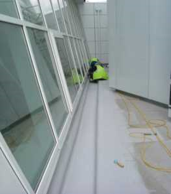 TPO Manufacturers would generally recommend that any patch repair is installed on the underside of the membrane if possible as satisfactory preparation of the top surface can be troublesome, especially on aged TPO roofs. 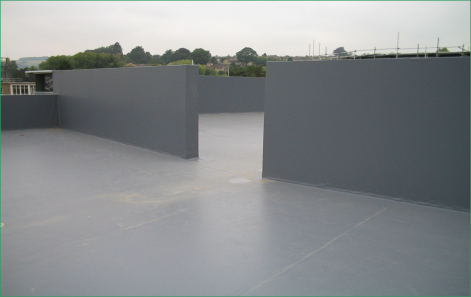 IKO Spectraplan TPE membranes do not require any aggressive solvent preparation. 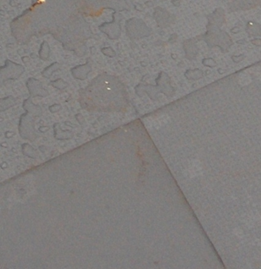 TPE membranes only require cleaning with hot soapy water if the membrane has become heavily soiled. During the installation stage any light site dust particles will not need to be removed as it will integrate with the membrane filler during the hot air welding process. TPO membranes have approximately 30% polymer content which results in any damage having to have an additional repair placed over the damage as repairs cannot be made to the membrane itself. A patch repair is typically an industry standard size of 200mm x 200mm and is placed either on top or on the underside of the membrane. 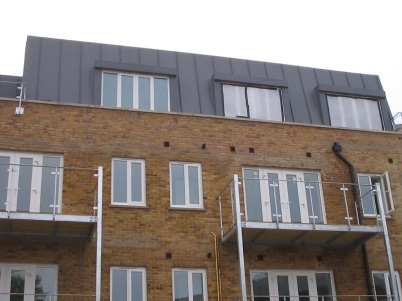 The repair if installed correctly will not have a detrimental effect on the long term performance of the membrane but it will have a detrimental effect on the roof’s aesthetics and potentially the client’s faith in the roof. More and more clients and main contractors are insisting on a patch repair free installation, insisting on large overlays over small areas of damage. IKO Spectraplan TPE membranes have approximately 60% polymer content. Due to the high polymer content of TPE membranes they can be repaired without the use of an additional patch. Once repaired the membrane retains all of its original physical properties and there is little or no sign of the repair and once weathered in it will almost be impossible to see. You will, however, always see a patch repair! Sound too good to be true? Well, don’t just take my word for it watch our IKO Spectraplan TPE welding video and see for yourself. Seeing is believing!